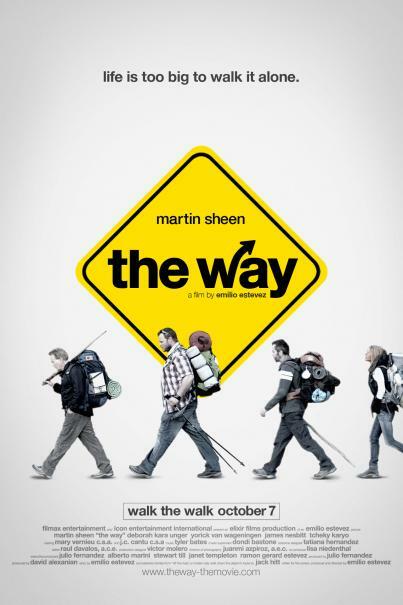 Martin Sheen plays Tom, an American doctor who comes to St. Jean Pied de Port, France to collect the remains of his adult son, killed in the Pyrenees in a storm while walking The Camino de Santiago, also known as The Way of Saint James. Driven by his profound sadness and desire to understand his son better, Tom decides to embark on the historical pilgrimage, leaving his "California bubble life" behind. Armed with his son's backpack and guidebook, Tom navigates the 800 km pilgrimage from the French Pyrenees, to Santiago de Compostela in the north west of Spain, but soon discovers that he will not be alone on this journey. While walking The Camino, Tom meets other pilgrims from around the world, all broken and looking for greater meaning in their lives: a Dutchman (Yorick van Wageningen) a Canadian (Deborah Kara Unger) and an Irish writer (James Nesbitt) who is suffering from a bout of "writer's block." From the hardship experienced along "The Way" this unlikely quartet of misfits create an everlasting bond and Tom begins to learn what it means to be a citizen of the world again, and discovers the difference between "The life we live and the life we choose". 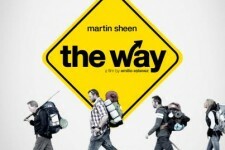 "The Way" was filmed entirely in Spain and France along the actual Camino de Santiago.